Over on the Major Nelson website, official details of the new Gears of War Judgment Call to Arms map pack have been released, revealing what you can expect from the three new maps. 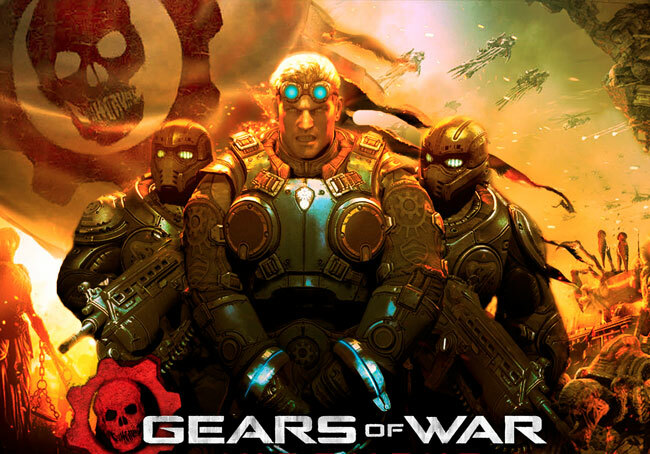 The latest Gears of War Judgment Call to Arms map pack will be coming to VIP Season Pass holders on Tuesday, April 23rd via Xbox LIVE, and available worldwide on April 30th 2013. As well as the three new maps the new Gears of War Judgment Call to Arms map pack also brings with it a brand-new mode called “Master at Arms,” with a goal to get a kill with each of the 20 different available weapons, without resorting to melee or grenade tactics. – Terminal: The speed and ferocity of the Locust invasion took Halvo Bay completely by surprise. Residents scrambled to evacuate by every means possible, and COG forces were called in to maintain order as martial law was enforced. However, the Locust showed no mercy, and gave no quarter; they swept through train terminals like this one to take advantage of the close quarters and sheer number of defenseless humans trapped within its walls. Sometimes, COG forces could hold the line long enough for a final evacuation, but too many lost their lives in defense of the people and the land they loved. – Blood Drive: As casualties started to mount, the staff at Halvo Memorial quickly began what would become the largest triage effort in the history of Sera. Their “Give Blood Today” campaign inspired a global blood drive in support of COG forces and wounded civilians. Sadly, Halvo fell quickly, and the hospital became a battlefront instead of a sanctuary. The seed of hope was planted, however, and government-run Memorial hospitals across the country mobilized to keep the effort alive until Jacinto Memorial was the last standing bastion of hope for the people of Sera. – Boneyard: The concept of traditional memorial services had to be suspended due to the constant stream and alarming volume of casualties as Sera fell victim to the Locust Horde. Memorial grounds quickly became boneyards. Unmarked holes became grave sites and mausoleums were filled with the nameless remains of the fallen, their skeletons piled into heaps. Tread lightly, you never know what, or who, you’re walking on, and one day you’re bound to join them.